This sqadia.com medical lecture provides a detail comprehension of the disorders of oesophagus. 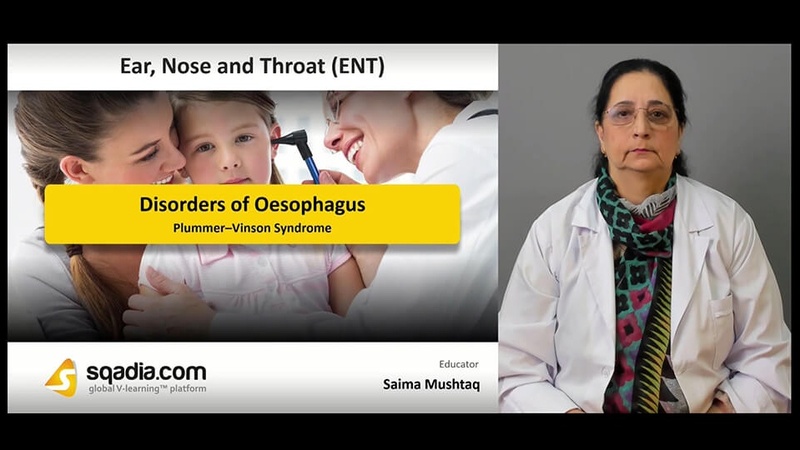 All the major clinical disorders pertaining to oesophagus have been elaborated in order. 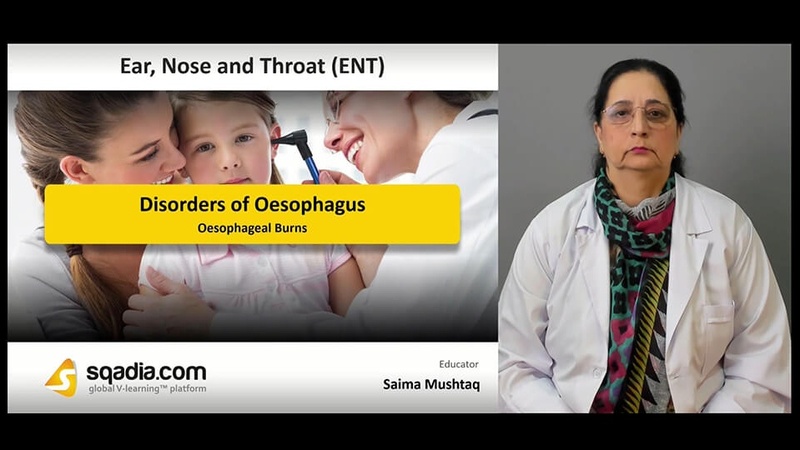 Initially, acute oesophagitis and oesophageal burns (corrosive) have been discussed. Following this, benign strictures, hiatus hernia, Plummer-Vinson syndrome along with globus pharyngeus has been highlighted. In the beginning of this section, acute oesophagitis has been defined. Following this, certain complaints along with the perforation of oesophagus like instrumental trauma and spontaneous rupture has been brought under discussion. Additionally, its diagnosis, thoracic oesophageal rupture, chest X ray and treatment has been explained. The major focus of this section is on the oesophageal burns. Firstly, corrosive burns have been explicated. Subsequently, our educator has mentioned their pathology, stages of burns and evaluation of the patients. Furthermore, a range of management strategies which can be employed to prevent the condition from aggravating have also been highlighted. Initially, the benign strictures of oesophagus and their common causes have been thoroughly explained. In addition to this, clinical features, diagnosis along with the treatment has been comprehensively elaborated. Amongst the treatment options, gastrostomy and surgery has been delineated. The clinical condition which has been explicated in this section is the hiatus hernia. 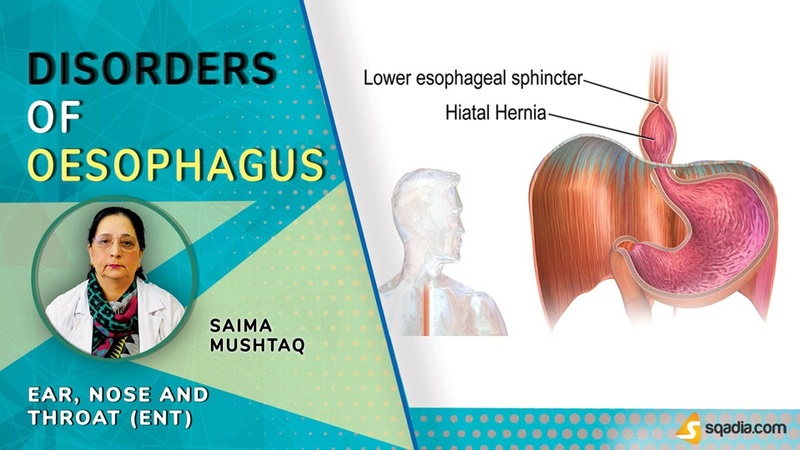 After having defined this medical term, our educator has shed light upon its various types which include sliding and paraesophageal. Moreover, treatment has been highlighted. Primarily, classical features of Plummer-Vinson syndrome have been mentioned. In addition to this, its diagnosis, barium swallow and predisposition to certain carcinomas has been considered. Conclusively, its treatment to correct anaemia and dilatation along with another medical condition termed as globus (hystericus) pharyngeus has been elaborated.